The city’s crossing guards get a uniform allowance of $700 annually. But some residents thought that it might help to supplement it for the winter, particularly where shoes are concerned. 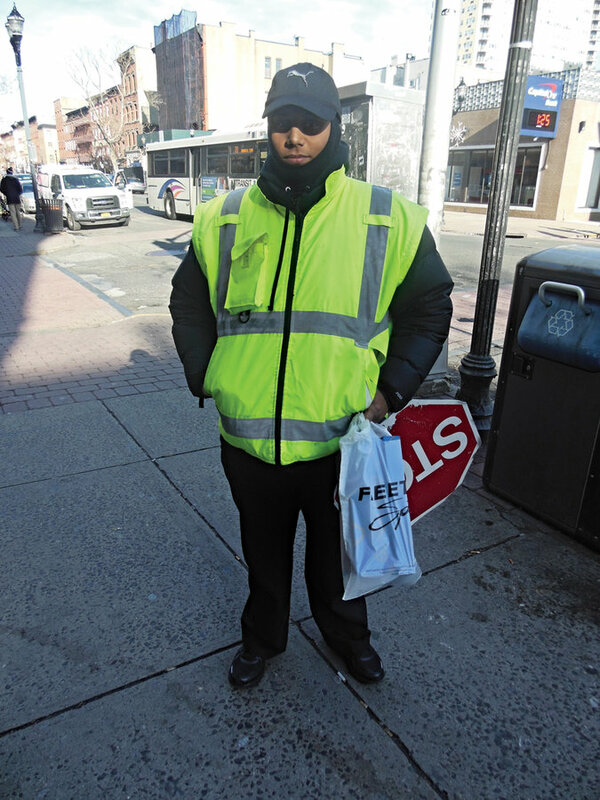 Recently, Beth Buckley, a Hoboken resident since 2002, decided she wanted to give back and show her appreciation to Hoboken’s crossing guards after having a conversation with one of them outside her children’s school. Buckley said she knew she wanted to try and get Hoboken’s crossing guards proper shoes but wasn’t sure how to get it done. So she decided to recruit City Council President Jen Giattino. “I suggested a Gofundme page to help raise the money,” said Giattino. She spoke with Police Lt. John Petrosino, who oversees the crossing guards and traffic control officers (who direct the flow of traffic and can override stop signs and lights) to see if the shoes needed to be compliant with a specific uniform code and how many pairs they would need. “Jen and I met to talk through everything, and we wanted to make sure we had someone set up proper shoes and work locally so they would be able to get fitted and pick them up,” said Buckley. They decided the effort would be a surprise for the guards. “He was instrumental in making this happen,” said Buckley. They launched the GoFundMe page on Nov. 22 at 10:45 a.m. and posted it on Facebook. “Within 30 hours we had the money,” said Giattino. The website raised almost $5,000. “It started this viral thing where physical therapists in town, they were willing to give checks to some crossing guards and someone else wanted to bake them cookies, it really sparked other ideas,” said Buckley. The crossing guards and traffic control officers are allowed to spend the $700 annually how they see fit according to Petrosino. He added that they must maintain their uniform, which they can purchase from wherever they see fit. Crossing guards must have light blue shirts and dark colored pants while traffic control officers must have green shirts with dark pants according to Petrosino. “The uniform allowance is $700 a year broken up to $350 twice a year, but if they maintain their uniforms, [the amount] goes to their salary,” said Petrosino. Petrosino said the crossing guards were a little nervous when their supervisors told them of the gift. According to Giattino and Buckley, 27 crossing guards and traffic control officers have already picked up their shoes last week out of 43. Buckley said she received a nice “thank you” card on Friday signed by several crossing guards.